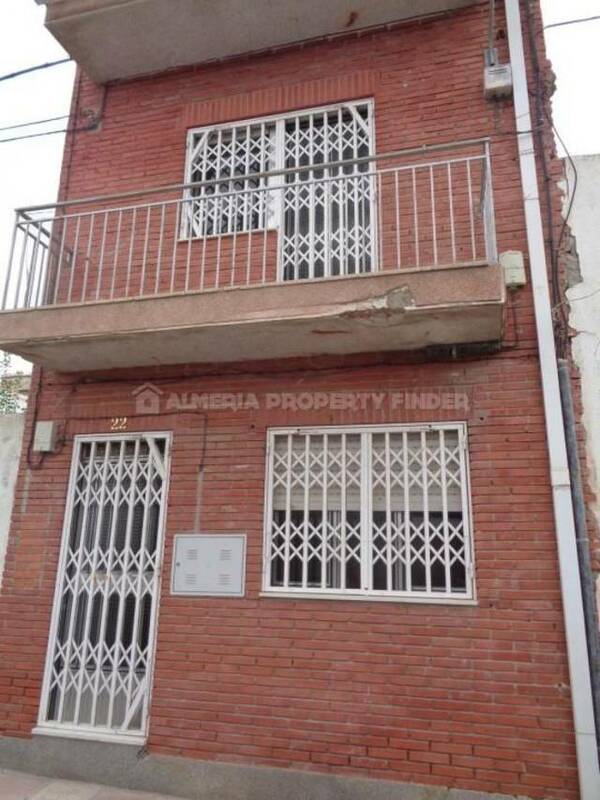 Terraced three storey 2 bedroom townhouse for sale in Almeria Province, situated in the pretty town of Albanchez which offers amenities including shops, bars, banks, petrol station, a school, hotel, a municipal swimming pool and a 24 hour medical centre. This quirky townhouse has been renovated whilst maintaining traditional features and is to be sold furnished and equipped. The front door opens into an open plan kitchen / dining room with built-in shelving and ample space for a large table & chairs. The kitchen has built-in base units, a gas hob with oven below, a sink with drainer, washing machine and a marble topped central island. From the dining room, a few steps lead down to a fabulous wine cellar / pantry, and from here a door leads into a small double bedroom. Stairs from the kitchen lead up to a good sized lounge with free standing wood burner. From here, steps lead up to a library / office space with built-in shelving, and a shower room comprising glass block shower cubicle, WC and basin. Stairs lead from the library up to the top floor which comprises the master bedroom and a terrace with views across the roof tops to the surrounding countryside. Mains services are connected and telephone / internet are also available for connection.